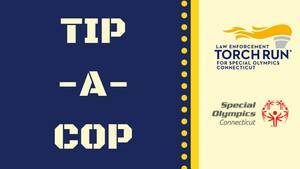 Brookfield Police will hold a Tip-A-Cop fundraiser for Special Olympics on Wednesday, September 12th from 5 to 9 pm at 189 Sports Cafe. "Our officers are once again teaming with the staff at189 Sports Cafe(across from Costco) to raise money, benefiting Connecticut Law Enforcement Torch Run for Special Olympics Connecticut! Come down and join us on Wednesday, September 12!" Brookfield Police say. Already know you can’t make it, but you want to donate? Visit Brookfield Police on Facebook here for additional information.